After the federal finance watchdog fined the B.C. Lottery Corporation for failing to properly report suspicious transactions, the province is looking for ways to fight money laundering in casinos. Earlier this week, the Financial Transactions and Reports Analysis Centre of Canada fined BCLC $670,000 for failing to report approximately 1,200 incidents of suspicious cash transactions properly. Casino chips are the most common way criminals try to launder money, and when the pile is worth $10,000 the law states the casino must ask the gambler for identification and have them fill out a form. Not all gamblers are keen to comply. "That's why we've increased training and all the other systems around it in the last couple years, simply because we knew this was out there, we knew this was a concern of FINTRAC," Rich Coleman, the minister responsible for gaming, said. The police who investigate money laundering say there is a lot at stake, and they depend on casinos to report suspicious transactions. "They're our eyes and ears. 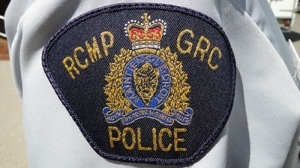 Like any other business we need to have that intelligence," RCMP Sgt. David Gray told CTV News. "That's a concern to us. I mean, that could possibly be a link in an investigation or the start of an investigation that we're not seeing right now." Despite surveillance cameras intended to spot money laundering, a FINTRAC report says there's been a jump in suspected money laundering cases in B.C casinos. With FINTRAC pushing B.C. casinos to do more, BCLC recently made some changes. "We've lowered that threshold for demanding identification from $10,000 down to $9,000, so that we get that identification, and before they reach the $10,000 threshold," BCLC security investigator Murray Ross said. Now gamblers will have to show identification for any transactions above $9,000. Any other suspicious amount must also be reported to authorities. BCLC is the only gambling commission in Canada that has received this kind of fine from FINTRAC.